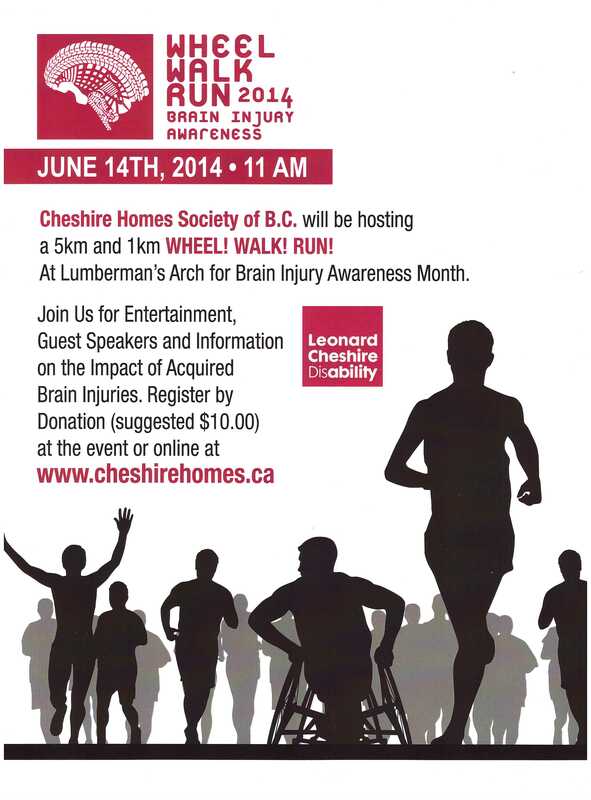 On June 14th, 2014, Cheshire Homes Society of BC (CHSBC) is hosting its 6th annual awareness event, a Wheel, Walk, Run at Lumberman’s arch (3301 Stanley Park Drive) in Stanley Park Vancouver. CHSBC supports people with acquired brain injuries (ABIs) to achieve their optimal level of independence through innovative services, education and community integration. 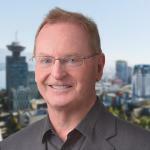 A demonstrated industry leader in providing services to ABI clients, CHSBC works with BC’s Health Authorities to build and implement “best practices” and “continuous improvements” in the healthcare environment for people living with ABIs. The purpose of the event is to raise awareness of the effects of acquired brain injury (ABI) and to raise enough funds to start a vocational program to fund positions for clients with acquired brain injury to work, as well as provide continued education to the general public. Awareness and prevention are critical to reducing the impact that acquired brain injury has on people living with ABIs, their families, and communities. The ultimate goal is prevention but when these injuries do occur who better to provide inspiring role models and public education about the impact of ABIs than people living with an ABI. This event also provides an opportunity for Cheshire Homes Society of BC to reach out to the community, spotlight their mission, develop and strengthen partnerships, and gather information and feedback for improving their services. To make this event a success, they need your support. If someone you know has an acquired brain injury or you are looking for an opportunity to support a worthy community organization then consider participating in the 1KM/5KM wheel/walk/run and invite your friends, family, and colleagues. The event includes inspirational guest speakers, such as David Mcguire (who ran across Canada for brain injury awareness), as well as Chris Dufficy (professional snowboarder). Chair yoga, live music, entertainment and food will also be provided. For further information and to register visit our web site at www.cheshirehomes.ca. Registration is by donation (Suggested donation $10).